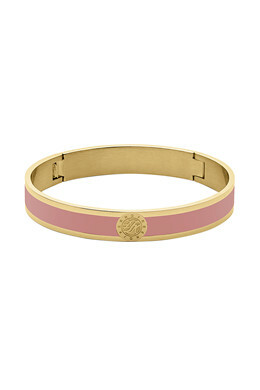 A stylish piece from our classic collection: Hand painted enamel bangle PENNIKA with a feminine, trendy and luxurious expression: adorned with the DYRBERG/KERN monogram and created in the season's most beautiful colors. Here in a polished gold toned finish and rose colored enamel. With spring closure.